Everyone’s favorite puzzler, The Talos Principle is on the list of 25 best PS4 games by Games Radar. Thank you guys, we appreciate it. You can check the full list here. 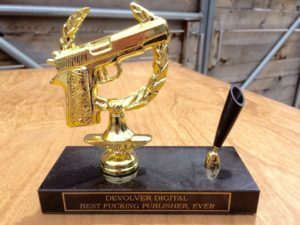 It’s official – we have the best publishers ever. 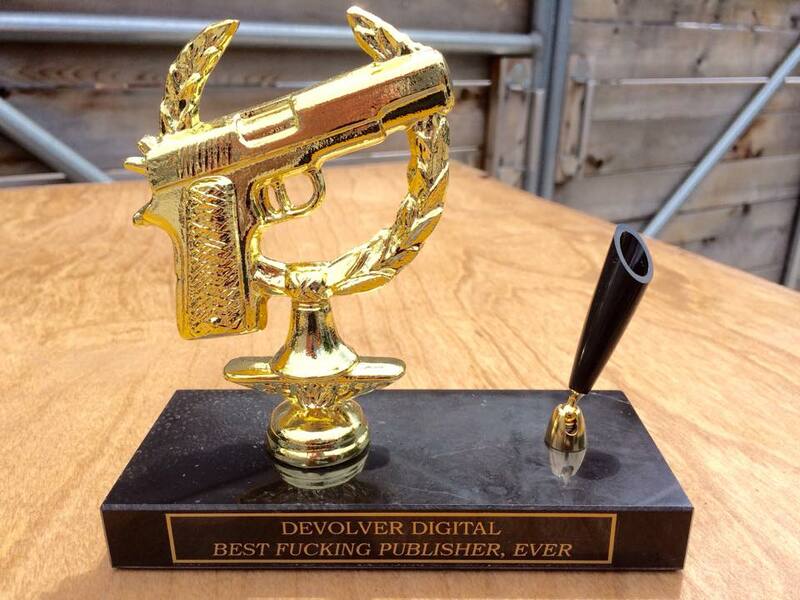 Our friends and colleagues at Devolver Digital have finally received long-waited recognition. Congrats to them. Slipper of Sudden Death deals area dmg (poison), stuns enemies and – most importantly – ads insult to injury. Photogrammetry prototype is coming along nicely: Serious Sam should have a new, mighty and frightening weapon at hand. Or foot. Serious Sam’s Bogus Detour has introduced Jammers into the game which was one of the main tools used in The Talos Principle. Sam has borrowed this cool feature to open doors, disrupt turrets and to activate certain buttons. Check the video below! 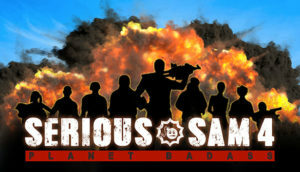 Admit it, you always wanted to dress up like Serious Sam? Never had the guts? Or simply a proper t-shirt? WELL NOW YOU CAN! 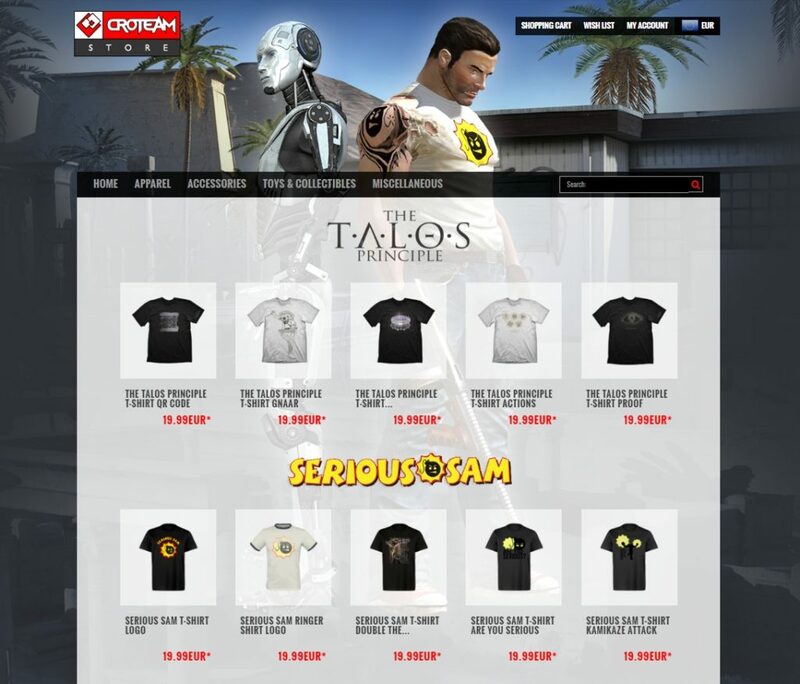 We proudly present you – Croteam Merchandise Store – ta dam! If you’ve seen this lecture, you haven’t seen them all; Alen’s speeches continue to be an inspiration for developers . It is, however, going to look kind of like this. But with more elks. And swag. Ok, we’re not there yet, but we’re traveling to Malmo, Sweeden. 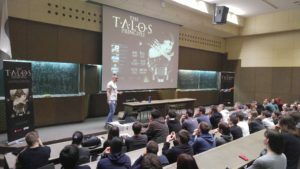 Our CTO, Alen Ladavac, will be at the Nordic Game conference 2016 soon, giving a lecture on making big games with small teams – The Talos Principle post-mortem. Croteam has always tried to optimize the development process and attain high production values with a small but effective team. 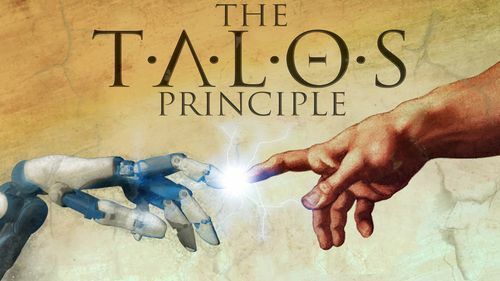 This post-mortem of the critically acclaimed The Talos Principle describes the principles, tools and processes used to achieve that. If you’re at Nordic, come and listen, or get in touch with us. This Friday. Noon. Sharp. See you there! We’d like to congratulate everybody that won, console everybody who was nominated but didn’t win, but most of all – we are going to brag about our award, the Street Hero! The award was introduced just this year and came as quite a surprise (that’s why we are sporting our street smarts at the awards ceremony and not wearing tuxedos). Initially we thought it was for eating the most at the hotel bar or winning the Develop football cup (yup! 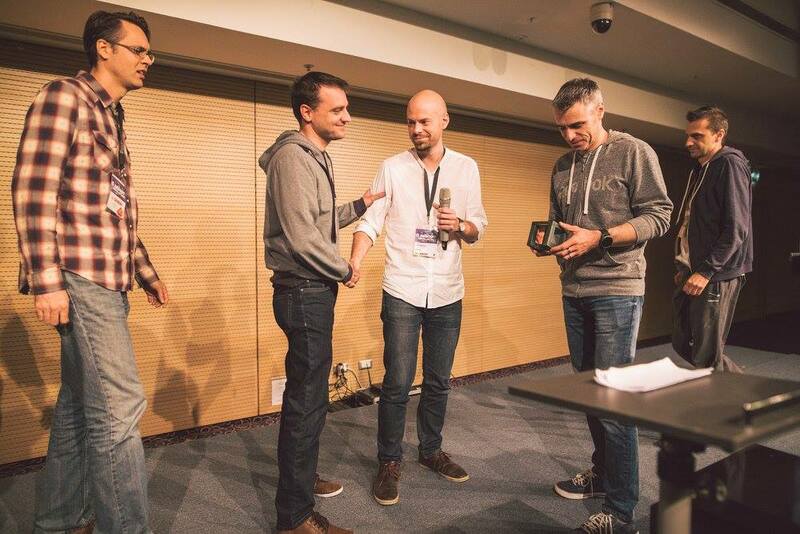 It was Croteam), but we got separate awards for those achievements. An extra charge at the hotel bill for the first one, and a nice golden cup for the second one. Apparently, Street Hero has something to do with being a cool regional developer and an all-around nice studio. And that’s us, in a nutshell. Tnx, Reboot! See you next year.